Good things are better when they come in packs, and M-Audio‘s got a pretty killer one lined up. 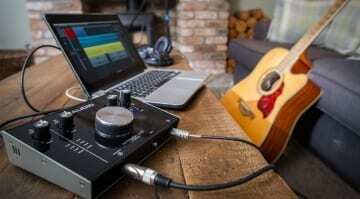 The company, known primarily for its budget gear, assembled the M-Track 2X2 Vocal Studio Pro – a “complete recording package” that comprises the M-Track 2X2 audio interface, the Nova Black condenser microphone, the HDH40 monitor headphones, connection cables, as well as recording software by AIR (Creative FX, Strike, Xpand! 2, Mini Grand) and Steinberg (Cubase LE). Now here’s a bit more about each piece of kit. The M-Track 2X2 is a recording interface with an XLR / TRACK-IN jack input with phantom power, along with a hi-Z instrument input. It features integrated Crystal Preamps for clean recordings, M-Audio says, so probably not much ‘colour’ to their sound. Of note is that the M-Track 2X2 is connected via USB-C, which is still quite rare, especially on budget interfaces like this one. USB-C allows you to connect to the latest Apple computers and is a good example of future proofing. 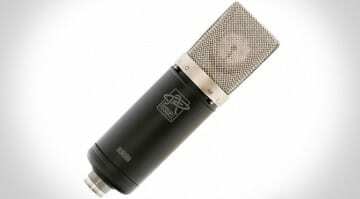 The Nova Black is a large-diaphragm condenser microphone suitable for recording podcasts, vocals, and other instruments like cabs, drums, percussion, and acoustic guitars. 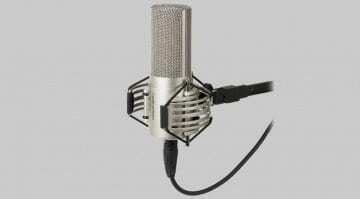 It has a standard 18mm aluminium condenser capsule with a typical cardioid recording pattern. The frequency range supposedly covers 20-20 kHz (if you can produce such frequencies out of whatever you are recording). The HD-40 headphones feature 40mm neodymium drivers, acoustic isolation, and a rugged design that makes them practical for field recording – or surviving when confronted by pets. Unfortunately, headphones are no replacement for studio monitors, but you can accomplish a lot with these if you know what you are doing. As for the software part, the AIR Creative FX Collection features 20 AU / VST effect plugins developed by the people behind the original Pro Tools effects. This is bread and butter stuff like chorus, delay, flanger, and reverb. Although they are a bit old, they aren’t outdated and cover all the essentials. Then there’s AIR Strike (drum simulator and sample library), AIR Xpand! 2 (a rompler full of ready-to-fly sounds), the AIR Mini Grand (another piano for your collection of 300 virtual pianos), and Steinberg Cubase LE. It’s a cut-up version of Cubase limited to 24 MIDI, 8 instrument, 16 audio tracks, and 8 physical inputs. That’s still plenty of recording possibilities! The whole thing is being sold for 238 EUR, which is very affordable. 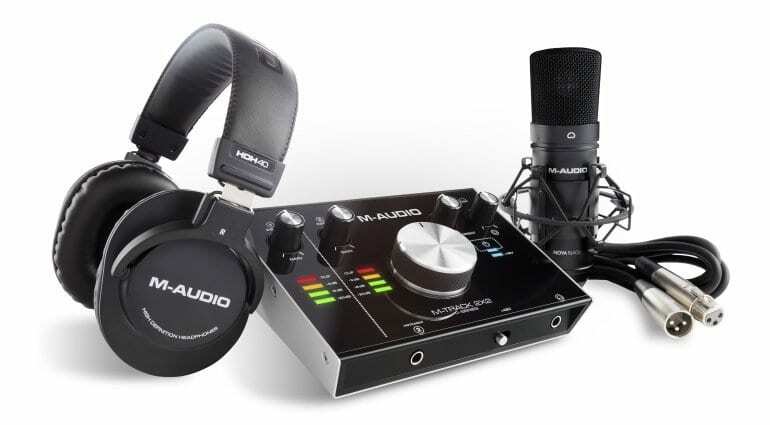 This bundle can certainly help an aspiring producers enter the game properly equipped without a risky initial investment. For a comparison, check out Steinberg’s slightly more expensive UR22mkII recording pack, listed at €259 on Thomann. 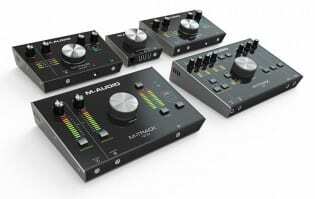 M-Audio release M-Track C Series 2X2 and 2X2M audio interfaces – finally!